Golden Retrievers love the joy of the outdoors. If this also appeals to you then you should think seriously about becoming involved with an Obedience Club. The best information you would receive is from ringing numerous Obedience Clubs and finding out about all the relevant information you would require to begin obedience work with your Golden. 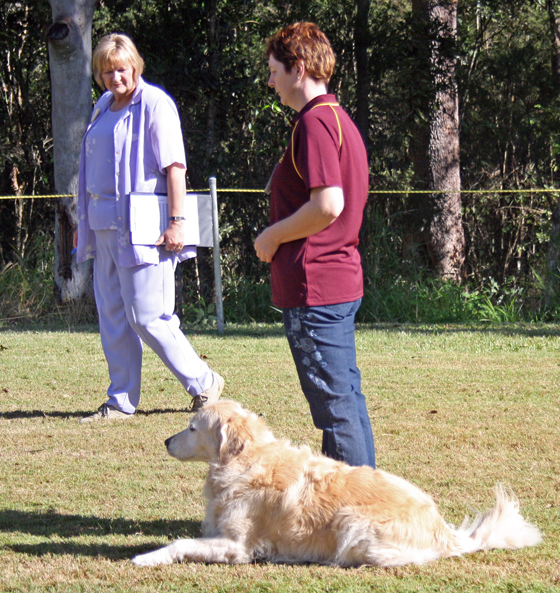 When entering an obedience trial you have to fill out the relevant forms as with ‘Showing your Golden’. The information and money must be correct and sent in by the closing date to the Show Secretary. You must also be a member of the Canine Control Council (Qld). For Community Companion Dog title you must obtain a qualifying score of 70 or more out of 100 points. This score is obtained three times to get your title. You can then apply for the title of CCD with the Canine Control Council (Qld). A qualifying score is also known as a leg. Lower titles are removed from the dogs name and replaced with the higher title. To begin trialling in Queensland you must first enter an obedience sweepstake and qualify once with a score of 150 points or more. On qualifying in the sweepstakes you then can enter the next trial in Companion Dog (Novice), working towards your dogs next title. Companion Dog (Novice), you and your dog will need to qualify at three different trials with a qualifying score of 170 points or more. Once you have three qualify scores you can then apply for your CD title. Next title in the open class is called Companion Dog Excellence (CDX) where the various exercises become more complicated. Again three qualifying scores of 170 points or more is required at three different trials to apply for the title of CDX. Utility Class would be next to complete with three qualifying scores at three different trials, which you would then apply for the title of UD. Of course in utility class the level is higher again with exercises like scent discrimination and food refusal. After you have been completely hooked into doing obedience, the Utility Dog Excellent (UDX) would be the ultimate title to achieve. You must still obtain three qualifying scores at three different trials. In this class has exercises that the dog must find articles scented by the judge, distant control and positions in motion. To obtain the title of Champion Obedience Dog you need to complete with five qualifying scores with a score of 180 points or over. This title ‘OC’ goes in front of the dogs registered name. To be eligible to enter Tracking Trials your dog must have one leg in Novice and must also pass a preliminary tracking qualification test. 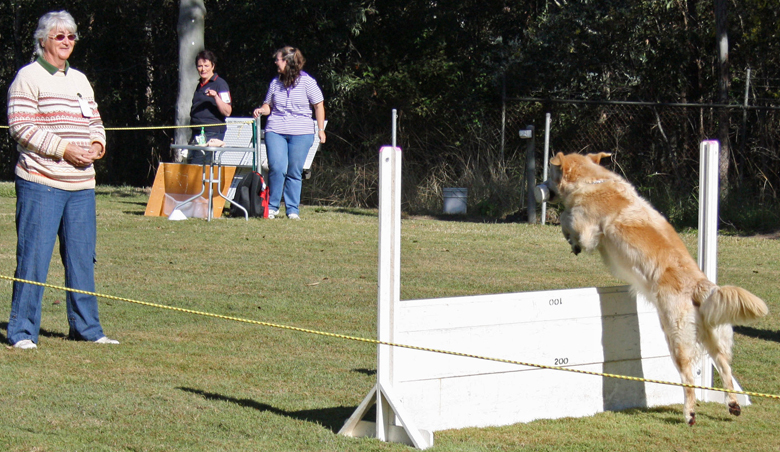 Agility is a dog competition open to all dogs. The idea is to have dogs negotiate different obstacles to assess and enhance their intelligence and ability. It is an educational and sporting activity intended to improve the dog’s integration into society. The sport requires a good rapport between dog and handler which results in perfect understanding. Competitors therefore must be familiar with elementary training. Whilst speed of the dog is to be desired, steadiness of work is essential to a faultless performance of the course. Retrieving trials are a simulated version of a day’s shooting where the dog remains at heel until sent to locate and retrieve downed game. Gundogs are required to retrieve over land and across water and retrieves can be sighted or blind (unseen). As you can imagine this takes a great deal of work with your dog. To achieve the title of Retrieving Trial Champion requires achievement at several levels of competition and also requires a lot of dedication and effort. Field Trials are competitions conducted under normal hunting conditions on wild game, usually dead pigeons. Retrievers are required to flush and retrieve game and the handler must carry a gun and shoot any legal game found. Field Trials encourage the maintenance and development of the natural working ability in gundogs. 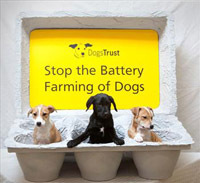 This is a very specialised area and your dog must have a natural ability for this type of trial. An obedience test judged by a Retrieving Trial judge is the first section of Gundog Working Test and this is to prove your dog is under control. The second section is a straight forward retrieve using a ‘DUMMY’ and Riffle.